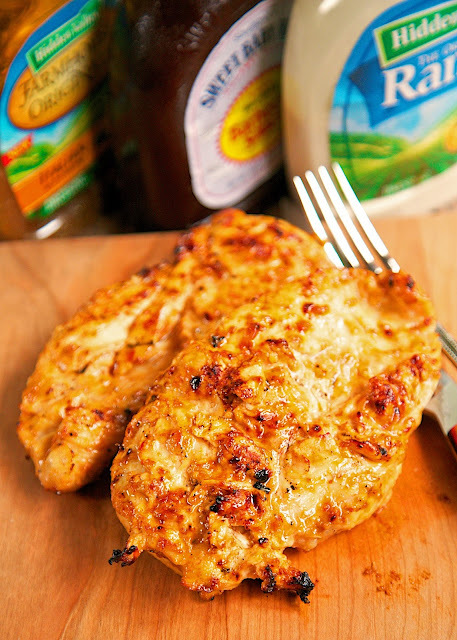 Italian BBQ Ranch Grilled Chicken Recipe - simply 4 ingredient recipe! 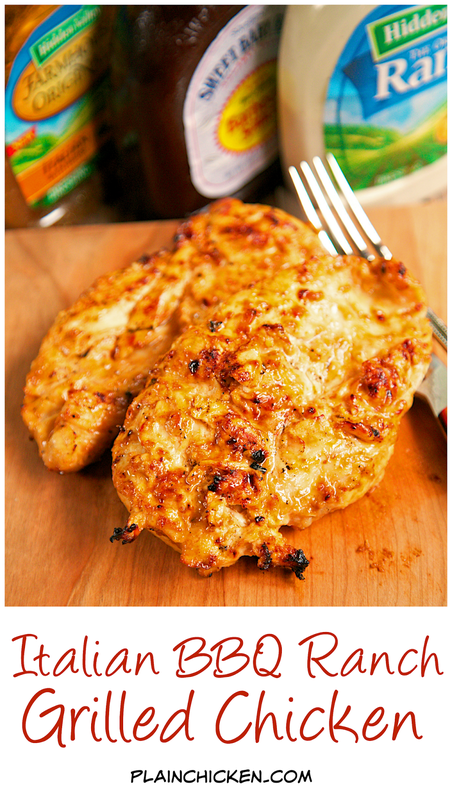 Let the chicken marinate all day in this yummy mixture for the yummiest, juiciest chicken ever! Leftover are great on top of a salad, in a quesadilla or on top of a yummy flatbread. I've been playing around with some delicious 2-Ingredient marinades lately. I just love the flavors and how simple they are! I decided to combine some of the combinations and came up with this amazing Italian BBQ Ranch Grilled Chicken. It might be my favorite combination yet! I whisked together the marinade ingredients and let the chicken hang out in the mixture all day. Chicken Legs fired up the grill and we had dinner in no time. I make the full batch of this chicken even though there are only two of us. The leftovers are great on top of a salad, in a quesadilla or on top of a yummy flatbread. Whisk together Italian dressing, Ranch dressing and BBQ sauce. Pour over chicken and refrigerate a few hours to overnight. Remove chicken from marinade and grill until done, about 15-18 minutes. Could you freeze the chicken in the marinade? Sounds yummy. 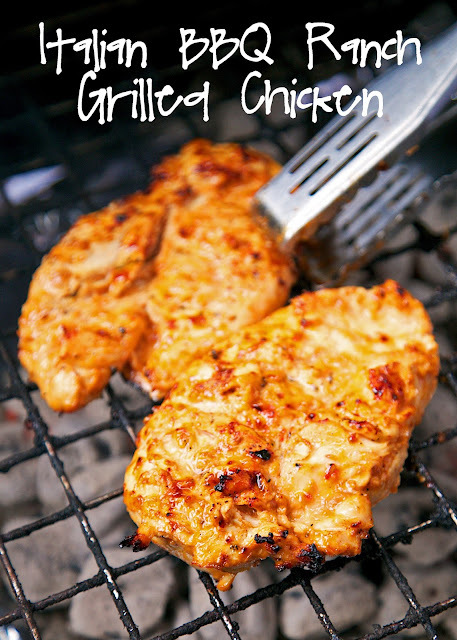 What temperature do you you use to grill the chicken and how often do you turn it? Thanks!